Fourth Street Village is an apartment community for 120 families. It is located directly across from Howard B. Stroud Elementary School (formerly called Fourth Street Elementary School) on a 9-acre tract zoned for multi-family housing. Fourth Street Village is located along the bus line and is close to a grocery store, pharmacy, and other desirable amenities. The property has a community center on site that includes a computer lab, fitness center, swimming pool, and laundry. 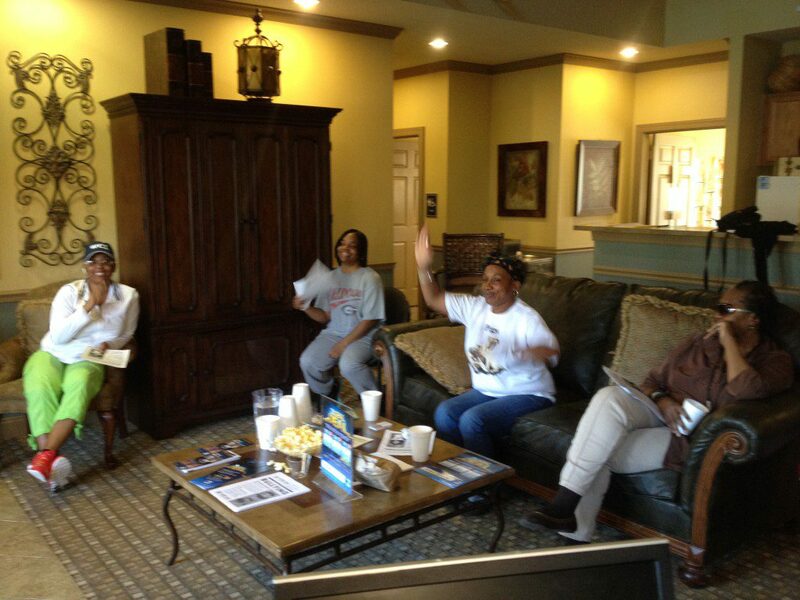 Fourth Street Village residents enjoying a movie night. Exterior photo of Fourth Street Village apartments. 96 units at Fourth Street Village are provided specifically for families making 50% or less than the Area Median Income. The remaining 24 units are at the standard market rate. Fourth Street Village was made possible through financing received from PNC Multifamily Capital and from the Low Income Housing Tax Credit Program of the Georgia Department of Community Affairs. There are many supportive services for residents, such as employment programs, homeownership counseling, resident involvement in decision making, a safety program, and tenant counseling. Ongoing activities are computer classes, financial management seminars, and residents’ association meetings. These services are administered by ALT and Ambling Management in partnership with many local agencies and businesses. The six units on Waddell Street are provided specifically for families making 50% or less than the Area Median Income. 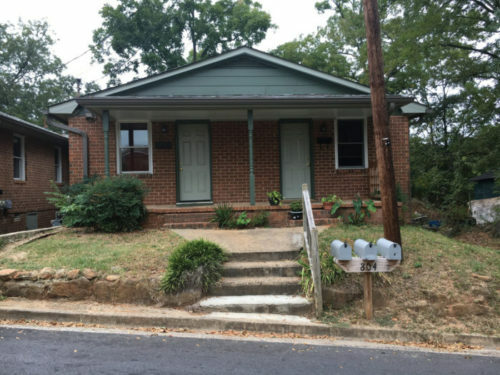 The Waddell rental units project was made possible through funding from the Athens-Clarke County Department of Housing and Community Development (HCD) HOME and CDBG Programs of the Unified Government of Athens-Clarke County, an Equal Opportunity Employer. 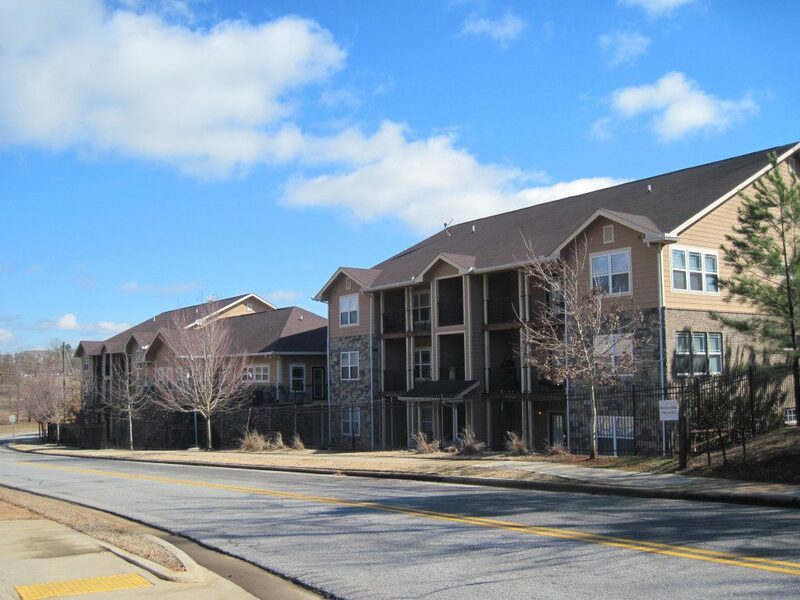 These rental units are in the West Broad neighborhood in the city of Athens, GA. Nearby schools include Alps Road Elementary School, Clarke Middle School, and Clarke Central High School. **Please note, while we always are accepting applications, there are no current vacancies. Obtain an application at the ALT office or download an application and bring it to the office. There are no application fees. Rental applications can be picked up and returned at The Athens Land Trust Office during normal office hours of 8 a.m. to 5 p.m. Monday-Friday. 3. Applicants must be financially able to pay set rental amounts. This is determined through verified sources of income, and analysis of the household’s monthly budget and credit. 4. Applicant must provide proof of income documents.